Together it is better! Proconsi maintains collaborative relationships with companies, associations and institutions with whom they share know how, which will facilitate to approach larger-scale projects and an international outlook. AEI Cyber Security: the Innovative Business Grouping in Cyber Security and Advanced Technologies brings companies, associations, R+D+I centres and public or private entities together, which are interested in promoting the New Technologies field. 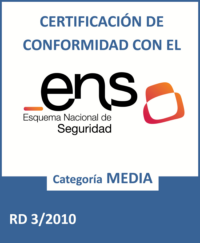 Conetic: The Spanish Confederation in Information, Communication and Electronic Technologies represents over 1.700 companies out of 13 autonomous communities, in order to defend SME's interests in the field. Aetical: The Spanish Confederation of Information, Communication and Electronic Technologies in Castilla y León focuses on improving competitiveness and ensuring a sustainable growth in ICT companies in Castilla y León. Aletic: The Association of Information and Communication Technologies businesses in León is in charge of developing activities directly related with the computer and telecommunications sector. Aetic: The Association of Electronic, Information Technologies and Telecommunications Businesses in Spain represents almost 1000 associates, and whose aim is to promote the development of the sector. Itunit: Group of technological companies. With them we deal with larger-scale projects and an international view. We works with a large number of partners and technological comrades with whom we are proud to collaborate and share our day-to-day with, establishing genuine synergies with which we develop and implement new and innovative projects. We have distributors and collaborators in the whole country who offer personalized advice and the highest expert technical service, to achieve the best results with the technological solutions that clients need.